Breeding Aid - maximizes avian egg production by replenishing the fatty acids necessary for normal egg production and good hatchability. Should also be used when an increase in male fertility is desired. Doxyvet Liquid - for treatment of bacterial and chlamydial disease such as conjunctivitis, gingivitis, respiratory disease and sinus infections. Insecta-Pro - Insectivorous and Omnivorous soft food for birds by Vetafarm. 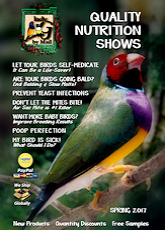 Takes the mess and guesswork out of keeping and breeding insect eating birds. 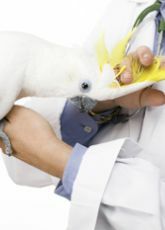 MegabacS - Proven effective against Megabacteria in caged and aviary birds. MegabacS is a unique water soluble formulation of Amphotericin B. Treatment time is normally 10 days. Neocare - hand rearing food for baby birds from Vetafarm. Extrusion- cooked for safety and increased digestibility. Soluvite-D - for birds limited to sunlight. Essential vitamins and minerals, fortified with Vitamin D3 to promote health and breeding of birds housed indoors. 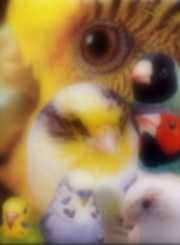 Soluvite-D Breeder - for birds limited to sunlight. Essential vitamins and minerals, fortified with Vitamin D3 to promote health and breeding of birds housed indoors. Spectovet Antibiotic - a combination of two powerful antibiotics for the control and treatment of infections in Ornamental birds. These may include Mycoplasma (Chronic Respiratory Disease), E-coli and Salmonella, Streplococcus and Staphylococcus.